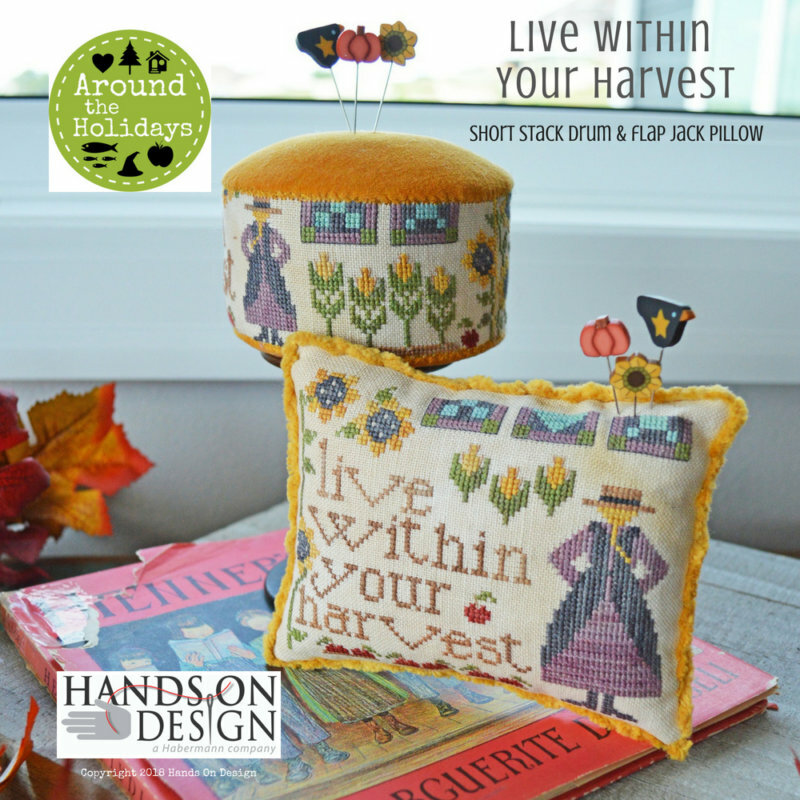 My newest ‘Around the Holidays’ Collection refers to both the theme of each design & the shape! There are 6 designs in all! The drums came first: their fun shape & finish reminded a good friend of a ‘short-stack’ of pancakes…so began the sort stack drum! 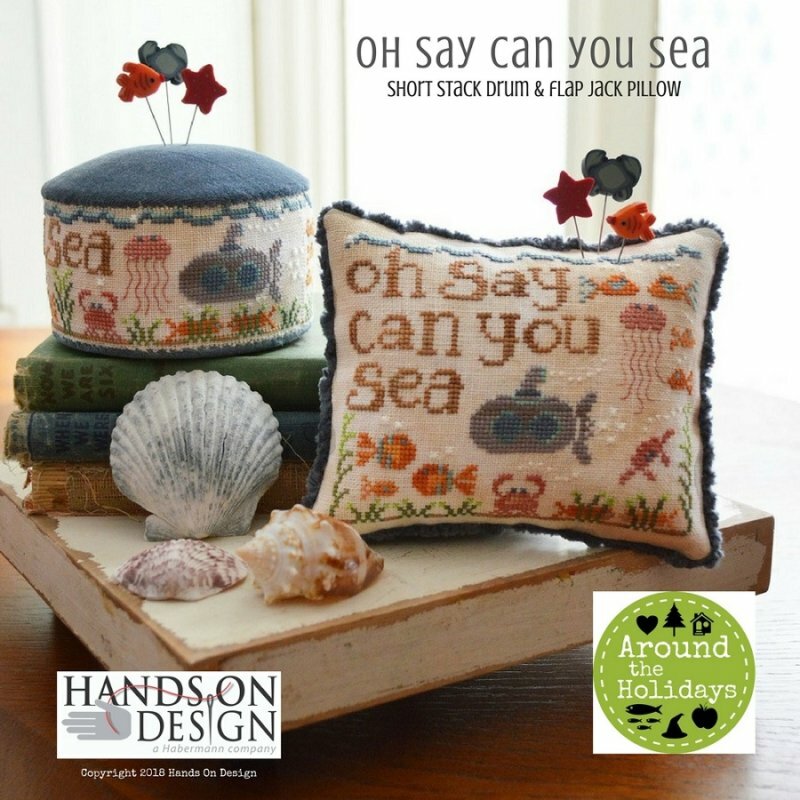 Once I decided to offer up a 2nd version (which another friend dubbed the ‘flap jack’) – I knew this collection was going to a blast to stitch! I really wanted to use Lady Dot Creates hand dyed velveteen – so you get a piece that’s big enough to finish either one or the other! 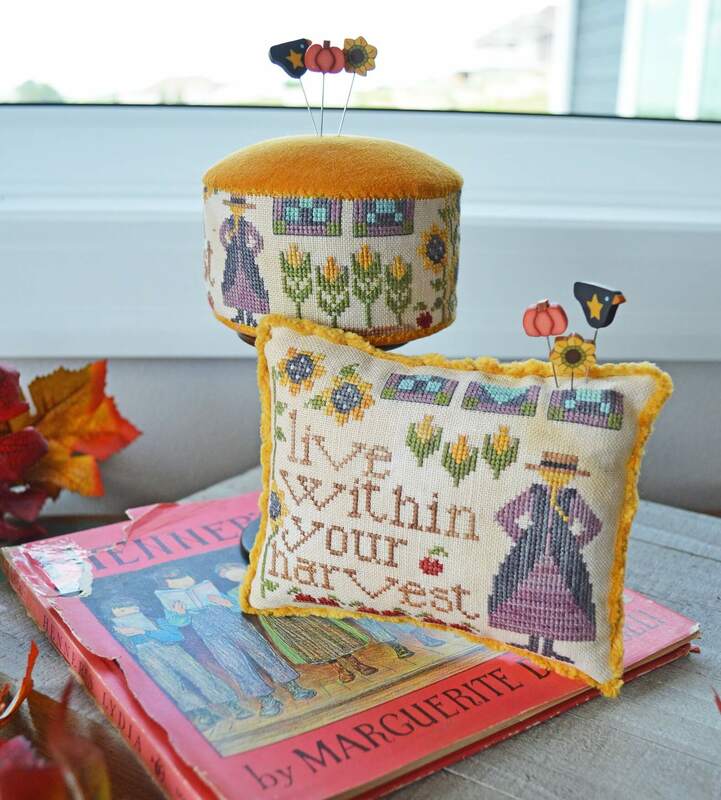 I also used Motherlode chenille from Lady Dot Creates to adorn my Flap Jack pillow. 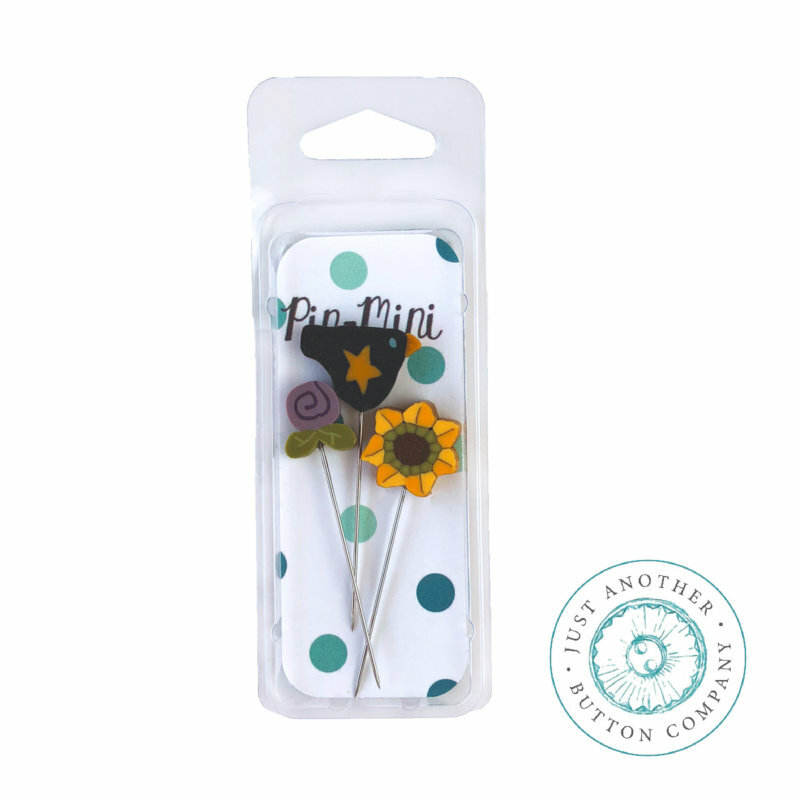 What pincushion set would be complete without pins!! Enter JABC with their new Pin-Mini’s! Be sure to follow the Short Stack Drum Finishing Tutorial located on the Tutorial section on this website. Gentle Art Sampler Threads: Chives, Cidermill Brown, French Lilac, Harvest Moon, Pomegranate, Soot, Tropical Ocean. 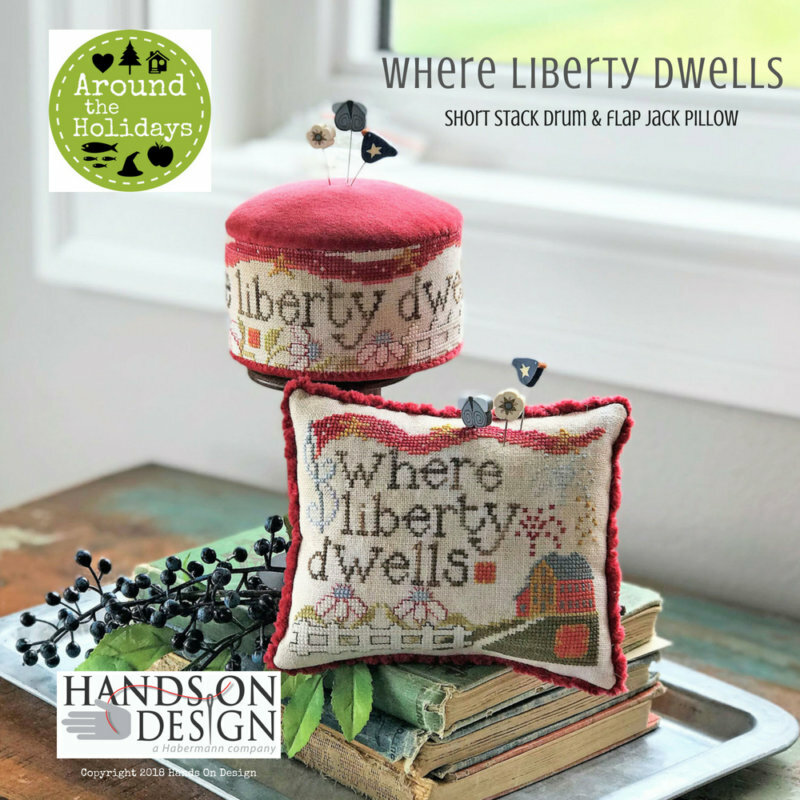 Lady Dot Creates hand dyed velveteen included: 9×10″ piece is enough to finish either the Short Stack Drum OR the Flap Jack Pillow. And be the first to know about new products, events, tutorials and more!